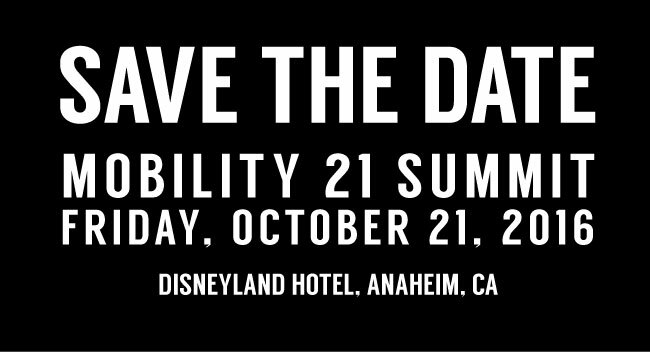 Thank you to more than 100 Mobility 21 members who joined forces in urging Governor Brown to sign important legislation for infrastructure. 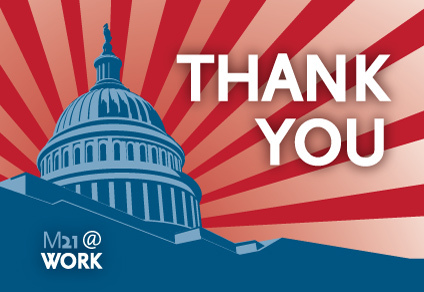 Your continued support and participation helps keeps Southern California’s transportation system and economy moving. This bill would authorize the Los Angeles County Metropolitan Transportation Authority (Metro) to put a new half-cent sales tax measure on the 2016 ballot to fund transportation improvements. With voter approval, this would generate hundreds of thousands of jobs and bring billions in new investment power to the region. The bills would provide tolling authority for both statewide projects and for specific projects in San Bernardino County. 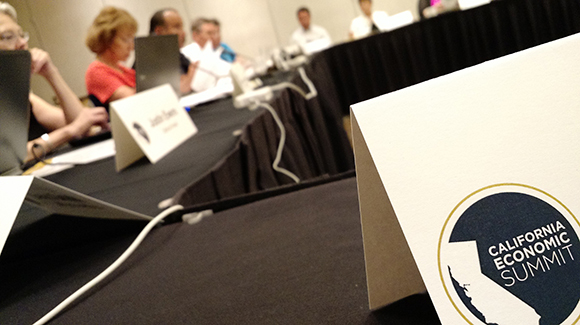 Local agencies across the state are seeking innovative ways to deliver transportation improvements with limited budgets. Toll/Express Lanes offer commuters another quality of life option that can save time through guaranteed travel times, as well as to provide additional resources for multi-modal transportation solutions and overall corridor benefits. Paul Hubler is Director of Government and Community Relations at the Alameda Corridor-East Construction Authority (ACE), where he has worked for 12 years. Paul is responsible for securing grant funding and overseeing community and media outreach programs for the $1.7 billion ACE program of constructing rail-roadway grade separations and other improvements along the Alameda Corridor-East Trade Corridor in the San Gabriel Valley. He joined the Mobility 21 Advisory Board in 2015. Paul also serves as Treasurer of the Coalition for America’s Gateways and Trade Corridors, a Washington, D.C.-based national coalition advocating for federal transportation funding for trade infrastructure projects of regional and national significance. 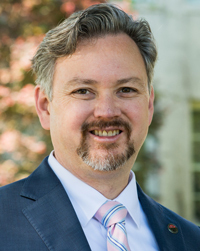 Prior to joining ACE, Paul was legislative and communications deputy to California Congressman and former State Senator Adam Schiff for six years. He worked in Sacramento and Washington, D.C. on legislation and efforts to secure funding for Southern California projects and initiatives. Paul’s accomplishments include working on a bill that established the Foothill Gold Line joint powers construction authority in 1998. From 1990 to 1997, Paul worked in a series of positions, ultimately served as managing editor, for an award-winning community newspaper in the San Fernando Valley owned by the Los Angeles Times. After graduating from college in 1986, Paul worked for several years as a paralegal at the law firm of Munger, Tolles and Olson in downtown Los Angeles. Paul has a master’s in public administration from the University of La Verne and a bachelor’s from Pitzer College in Claremont. 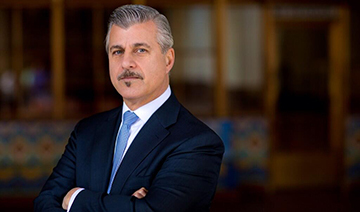 He currently serves as a member of the Advisory Board for the University of La Verne’s nationally accredited MPA program and on the board of the San Gabriel Valley Public Affairs Network. He is immediate past president of the Southern California Chapter of the American Society for Public Administration, the second largest chapter in the United States. Paul lives in Glendale with his wife, Patty Rhee, and their two children, Hana and Ben. He enjoys reading, hiking and skiing and has recently taken up tennis. Stephen Polechronis, an AECOM senior vice president and the transportation business line leader for AECOM’s Los Angeles and Orange County offices, is a transportation industry executive and project manager with deep experience in the development, design and construction of light rail, heavy rail subway and commuter rail. He joined the Mobility 21 Advisory Board in 2015. Since joining AECOM in 1998, Stephen has provided leadership for some of the company’s high-profile transportation projects, such as engineering and construction for the Metrolink commuter rail system, which serves 55 stations across Southern California; the Mid-City/Exposition light rail transit project, comprising 19 miles and 18 stations in Los Angeles; and the development of a construction management group for the Tren Urbano rail system in Puerto Rico. As the deputy executive officer for the Los Angeles County Metropolitan Transportation Authority (1996 to1997), Stephen managed the construction of the Metro Red Line Wilshire and Vermont/Hollywood corridor, a 6.6-mile twin-tube heavy-rail subway with eight stations. In this role, he supervised more than 200 agency and consultant staff and had oversight of 11 facilities, 12 systems, and professional services contracts. He also worked with regional Federal Transit Administration staff and project management oversight consultants to assure continuing federal support and project confidence. Stephen is active with the Los Angeles chapter of the Women’s Transportation Seminar serving as a Special Advisor to the President, the American Public Transportation Association, the Construction Management Association of America, and the Project Management Institute. Stephen is also on the Executive Committee of the Los Angeles Central City Association. Stephen received a Bachelor of Science degree in public administration from Northeastern University. Metro Board Chair and L.A. County Supervisor Mark Ridley-Thomas awarding the most recent business interruption fund check to New Millennium Beauty & Barber Shop Salon, nearby the Crenshaw/LAX project construction. 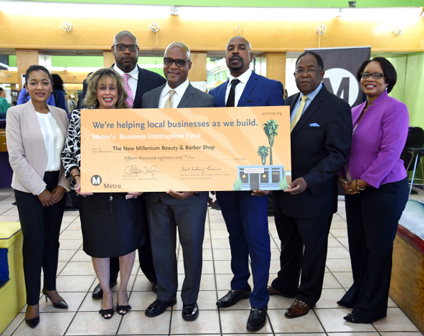 Metro’s groundbreaking Business Interruption Fund (BIF) pilot project has exceeded the $1 million mark in the award of 62 grants to “mom-and-pop” businesses directly impacted by construction of the Crenshaw/LAX Transit Project. BIF began operations this past February. One of the recently awarded BIF grants that pushed the total awards beyond the $1 million mark was awarded to The New Millennium Beauty & Barber Shop Salon, 4306 Crenshaw Blvd., where excavation and construction of the underground Leimert Park Station is taking place. The sports theme barbershop is owned by Desentrie Allen. “This grant is a true blessing,” Allen said. 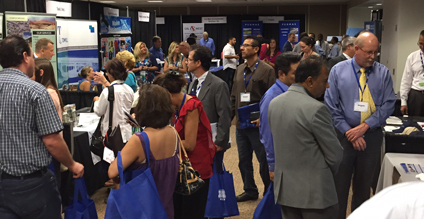 On Sept. 9, the San Bernardino Associated Governments (SANBAG) hosted its annual Business 2 Business Expo. The annual expo provides an opportunity for those within the region to grow their business, discover new resources, interact with agency representatives regarding upcoming contracting opportunities and network with prime contractors, project managers and other small businesses. This year’s event showcased 26 local and regional exhibitors, providing networking opportunities for more than 200 attendees. The day’s events also included presentations from SANBAG staff which highlighted current and future contracting opportunities associated with freeway mainline projects, the I-10 and I-15 Corridor Projects and the Redlands Passenger Rail Project. The event was held at Inland Regional Center in San Bernardino, California. The Orange County Transportation Authority’s board of directors selected HNTB Corporation to design the OC Streetcar project, signaling the next major step in the development of Orange County’s first modern streetcar. The OC Streetcar is planned to travel along a route just longer than four miles from the Santa Ana Regional Transportation Center, through Downtown Santa Ana and the Civic Center, along the Pacific Electric right of way, and connect to a new multimodal transit hub at Harbor Boulevard and Westminster Avenue in Garden Grove. It’s intended to provide easy connections for people traveling from trains and buses to employment, retail and recreational areas. The certification of the project’s environmental impact report in January and the issuing of a Finding of No Significant Impact in March signaled the completion of the state and federal environmental clearance processes. The selection of a designer was the next step to further advance the project. Firm proposals were evaluated based on their qualifications, staffing and project organization and work plan. HNTB, a full-service design engineering firm, has worked on numerous streetcar and street-running light rail projects nationwide. The project manager proposed by the firm has served in various design management roles on 12 streetcar projects throughout the U.S.
HNTB has worked with OCTA in the past to provide design services for the Laguna Niguel/Mission Viejo to San Juan Capistrano passing siding project and the Kraemer Boulevard railroad grade separation project. On the current schedule, construction for the OC Streetcar would begin in 2017, with service beginning in 2020. The California Economic Summit annual gathering is set for Nov. 12-13 in Ontario, the first time it’s been held in the Inland Empire. How can we train a workforce with the additional 1 million middle skill credentials and degrees that will be needed in California? How do we build the 1 million more housing units needed for low and middle-income Californians? How do we save 1 million acre-feet of water annually for the next ten years? The Summit, which is a year-round, regions-based approach to creating middle class jobs in California and tackling economic, environmental and equity issues, has attracted hundreds of California civic, business and elected officials since its inception in 2012. SANDAG Chair and Santee Councilmember Jack Dale at the Trolley Renewal Project celebration event. 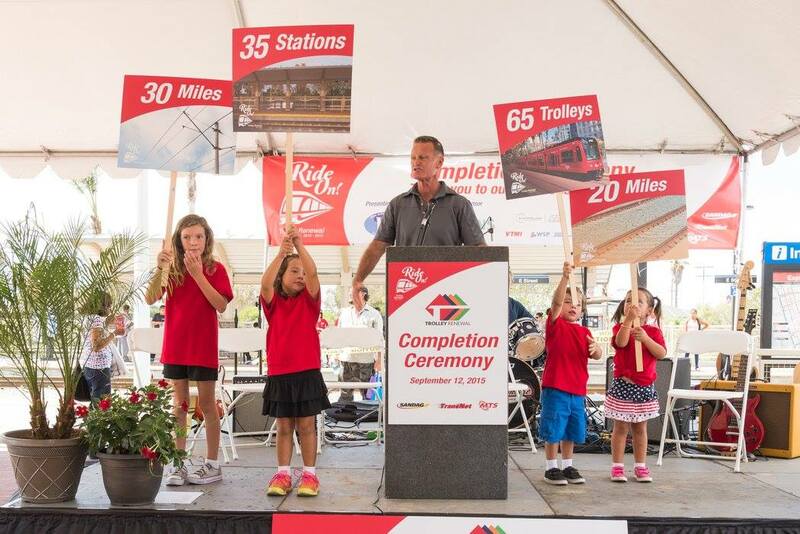 Thousands of people attended a free community event on Sept. 12 at Chula Vista’s E Street Trolley Station, celebrating the completion of the $660 million Trolley Renewal Project. The event – hosted by the San Diego Association of Governments (SANDAG) and the Metropolitan Transit System (MTS) – marked the end of a five-year effort to renovate and upgrade the region’s Trolley System, which has been in service for more than 30 years. The event also said “Thank you!” to Trolley riders, residents and businesses that have been patient with the unavoidable inconveniences caused by the renovation work. Thanks to the project, new low-floor trolley cars are now operating throughout the system. All stations are equipped with next-arrival signs, new shelters, and seating. These improvements mean easier access, quicker trips, a more comfortable ride, and an enhanced transit experience for all commuters. Trolley Renewal is a joint project headed by SANDAG and MTS, with funding provided by TransNet, the regional half-cent sales tax for transportation administered by SANDAG; California Propositions 1A and 1B; and the American Recovery and Reinvestment Act of 2009. The community celebration featured t-shirt and backpack giveaways, music, raffles, live entertainment, kids’ activities, refreshments, and photo booths, among other amenities.